For Motorhome rentals we us ABC Motorhome based in Anchorage. They have several models to choose from based on your choice of amenities, size, ease of driving and fuel economy. ABC Motorhome & Car Rentals is an Alaskan-owned and family-operated business that has served the Anchorage area since 1985. Once you book your package we will contact you with a special discounted rate code to use when you book your Motorhome. 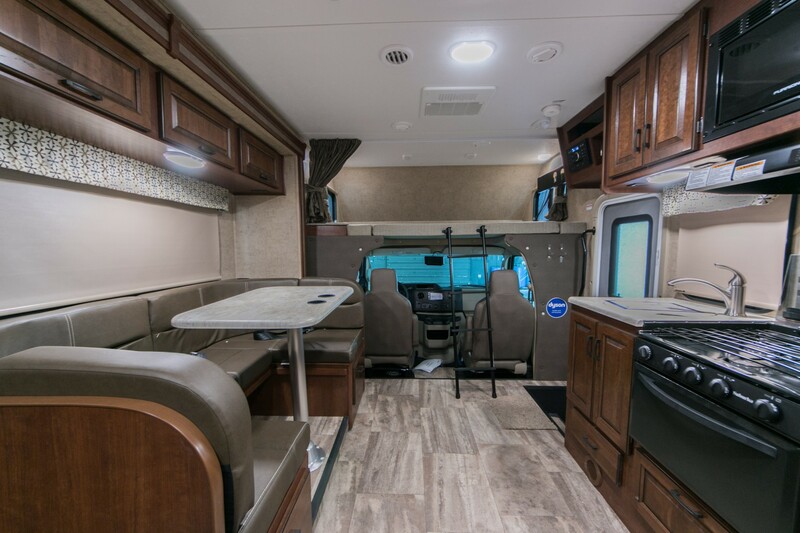 ABC has the finest Motorhomes and our special rate code makes them the best value in Alaska! ABC has several models to choose from and inventory is generally better in the winter season. We recommend the 24′, 30′ or 32′ model. The largest unit for a maximum of 8 people. 2 slide-out rooms. One in the living room and one for the bunk beds. Be sure to give yourself plenty of time to make the drive in the event of weather. And as with all our package guests, plan to arrive on Saturday night as your package starts on Sunday.